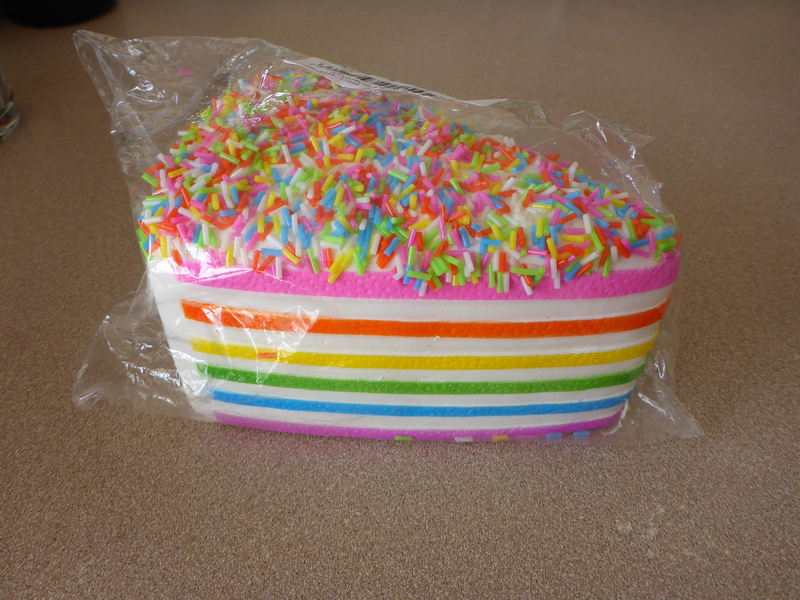 Image Description: a triangular slice of white layer-cake with rainbow-coloured layers (pink, orange yellow, light blue, purple) with a layer of multi-coloured sprinkles on top of the cake. One of the things about this stim toy is that it’s huge! The photo on Banggood doesn’t prepare you for the actual size (or maybe this just me and my poor spacial awareness). This stim toy is also highly squishable and slow rising, however, there are a few problems. Before I opened the package it came in, I could smell the strong scent of plastic, so I wouldn’t recommend this to anyone who is smell-sensitive. 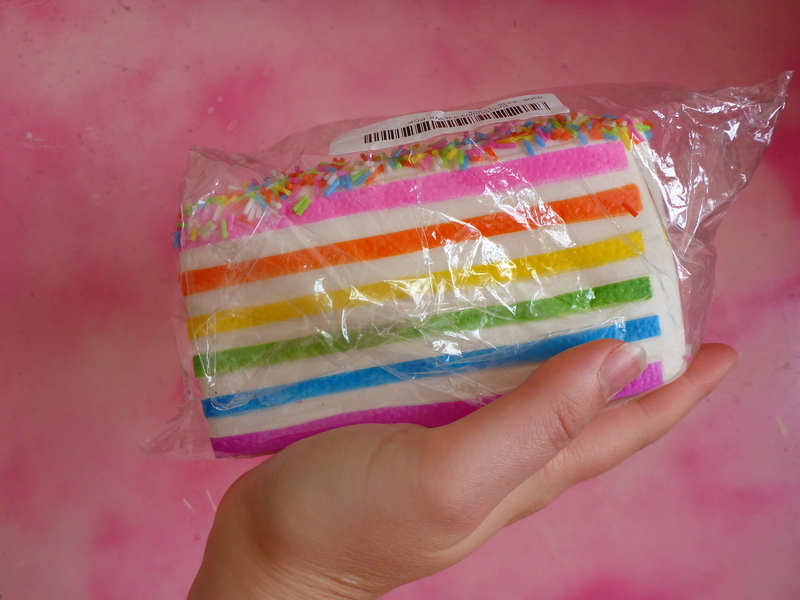 There’s also the problem with the fact that the sprinkles aren’t permanently attached to the top of the cake, so they keep falling off and, as there’s a small hole in the packaging somewhere, the sprinkles keep escaping the plastic bag the cake came in. Unfortunately, due to the choking hazard this presents, I honestly can’t recommend this item as a stim toy, even though it is very squishy and visually appealing.